Features: Light, fun and soooo easy to wear. Most likely the only pair of earrings you will need this summer. 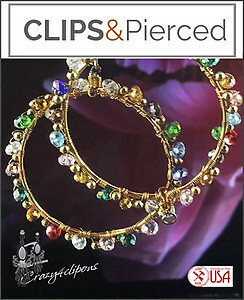 These hoop clip earrings are playful enough to wear with your swim wear and dressy enough to wear them at night! 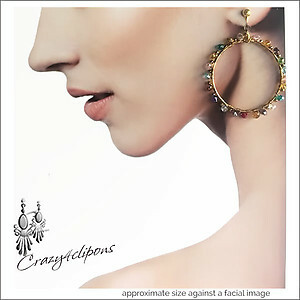 - small multi-colored micro-faceted crystals are hand wrapped around a sturdy strong gold plated 1-.5 inch hoop. These hoop earrings will go with everything in your wardrobe!